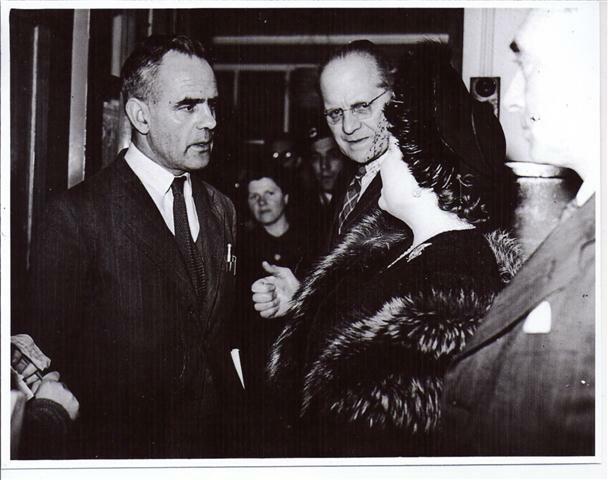 Her Majesty talks to Benfleet Primary headmaster Mr. F.G. Wood. 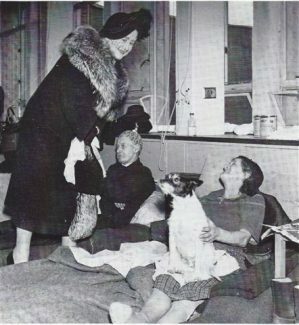 On the far right Princess Margaret turns to watch relief work. 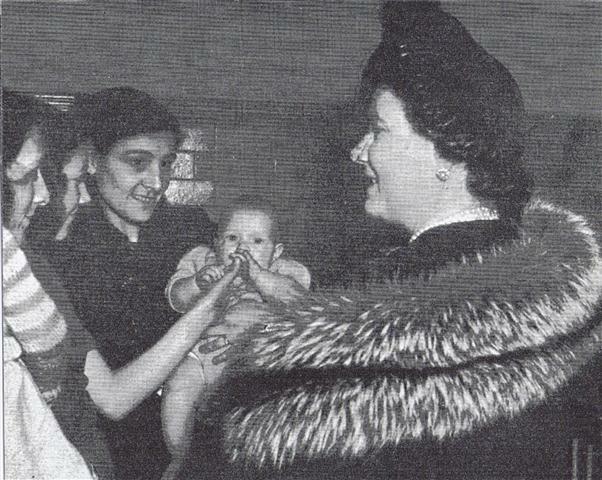 Following the terrible events of the night of 31st January 1953, when large areas of the south east were flooded and a devastated Canvey Island had been evacuated, Queen Elizabeth the Queen Mother and Princess Margaret visited Essex to comfort some of the victims. 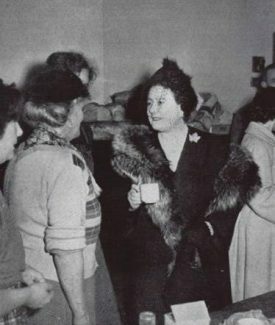 On 3rd February 1953, from a vantage point on a hill just above Benfleet, they saw for themselves the extent of the devastation before visiting the evacuees. 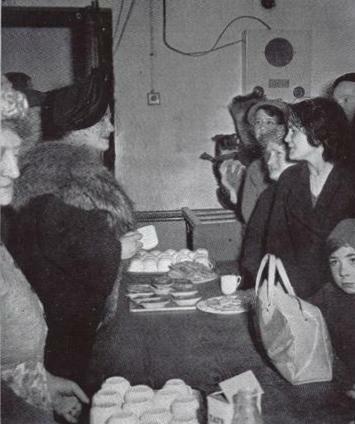 Benfleet Primary School, the new King John School (due to have been officially opened on 2nd February) and Benfleet Methodist Church were all used as evacuation centres and it was here that the Royal visitors heard of the suffering endured by Canvey people. “With little formality the Queen Mother and the young Princess wound up their visit by taking a cup of tea with the volunteer workers at Benfleet.